One of our coping strategies to attempt to deal with conflict, is to engage in triangulating in our relationships. This is where we play the role of usually victim or villain, and bring a third party into the dynamic (the rescuer), and avoid the conflict and confronting the actual person we should be talking to. Hazel Kurian, Counselling Psychologist shares more about triangles in relationships, and how they work from us being the person doing the triangulating, and from when we find ourselves being triangled into someone else’s conflict. We also cover more effective ways, than this dynamic, to deal with the issue. 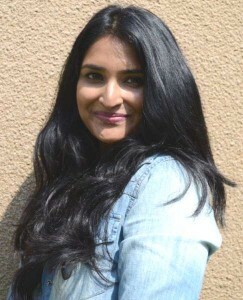 Hazel Kurian is a qualified Counselling Psychologist having completed: a Bachelor of Social Sciences degree; an Honours degree in Psychology (Qualified with Distinction); and a Masters Degree in Community-based Counselling Psychology. She has special interests in relationship difficulties, sexual health, LGBTI issues, stress management, historically marginalized groups and major life adjustments. She also has extensive experience in working with corporates and EAP’s. She currently runs a private practice and a website, www.oneheadspace.com, which deals with demystifying psychology. Hazel also works as a supervisor to psychologists in training, and supervises for institutions such as the University of the Witwatersrand, FAMSA and the Midrand Graduate Institute. She has also shared her expertise on television programmes geared towards positive social change, as well as radio and popular magazine publications. She is fully registered with the HPCSA and the Board of Health Care Funders and as such a portion of therapy fees can be reimbursed from medical aid. She is able to claim for clients directly from their medical aids.